Port Chalmers is a small port about 10 miles northeast of Dunedin. Dunedin is a small city known for being bit of Scotland in New Zealand. Your ship will be docked at the commercial pier in Port Chalmers. There is a hourly bus service from Port Chalmers to Dunedin with very limited service on weekends. It is probably better to take any cruise ship supplied shuttle into Dunedin which will drop you off at the centrally located Octagon. There is a tourist information office close by. 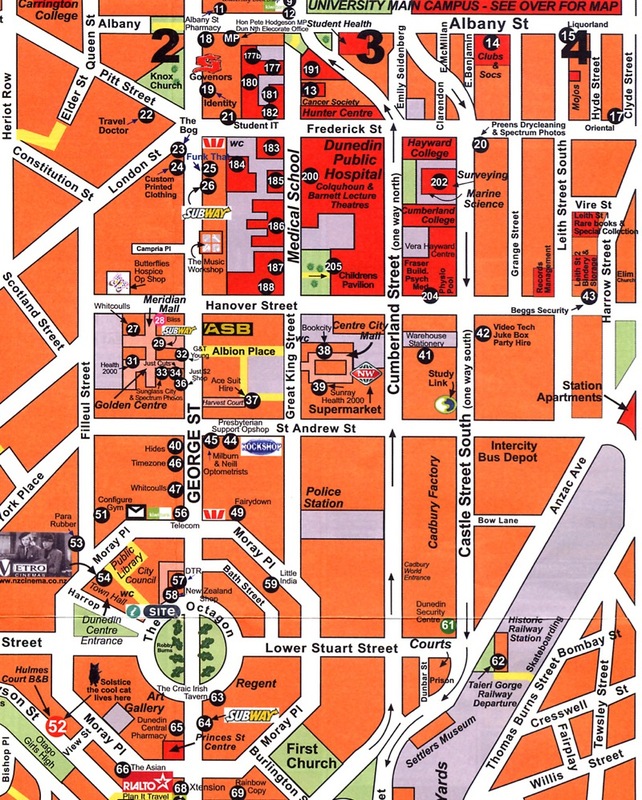 You will need to get transportation from the port to Dunedin city. If you wish to explore Dunedin city, you can take the local bus service from Port Chalmers to Dunedin city which will take around half an hour. Bus departs from corner of Harrington, Fox and Meridian Streets. To return to Port Chalmers, go to Cumberland Street stand 4 (outside Countdown), and catch the Port Chalmers bus back. It should cost under NZD 6.40 each way. Once in the city centre (Dunedin), you can use the local buses to see the city from around NZD 1.50 each way. 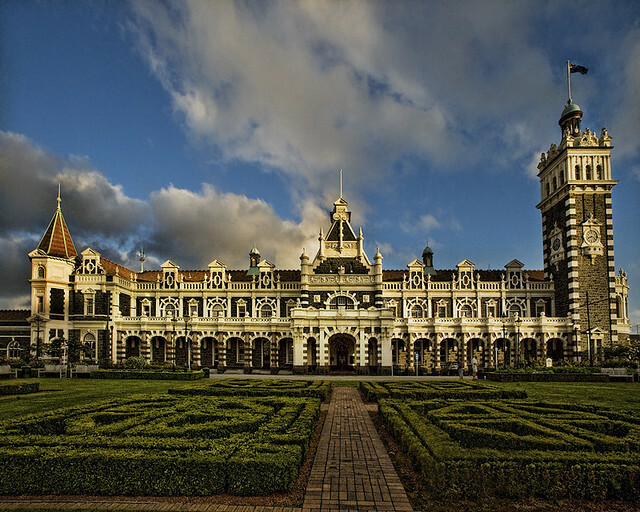 Dunedin Railway Station - this old station is the symbol of Dunedin. It's a couple blocks away from the Octagon. Baldwin Street - the steepest residential street in the world. At the foot of the street is a shop that sells certificates that attest to your visit to Baldwin Street. Take an angled picture. Might be tricky to get to. Wildlife tour - take a tour to see the local wildlife. There is an albatross colony nearby. You can arrange these through the tourist info office and the buses leave from the Octagon. The main street in George St off the Octagon with plenty of shops, restaurants, and some malls. There is a New World supermarket on the main street in Port Chalmers and both Countdown and New World Supermarkets close to the Octagon in Dunedin on Great King St.
Cafes and restaurants may provide free wifi to customers. For crew, there is a Seaman's Center in Port Chalmers with internet.